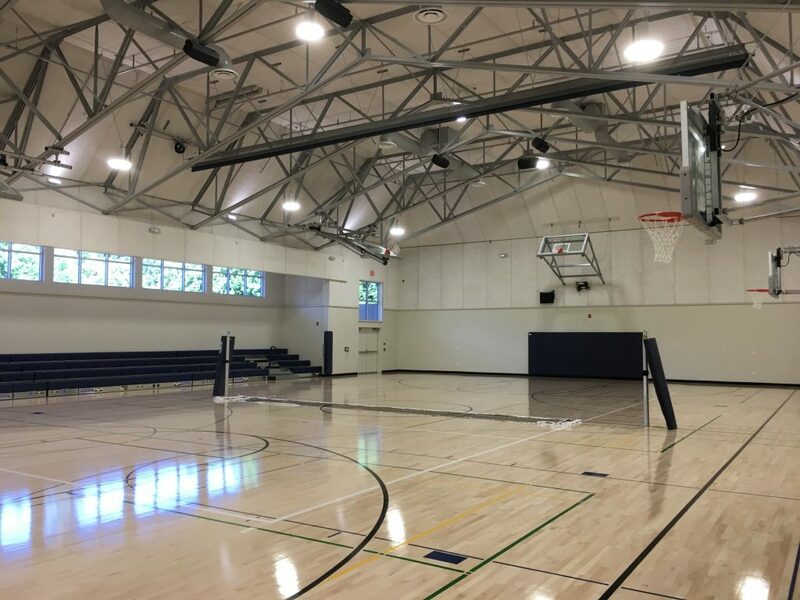 San Ramon Valley United Methodist Church Recreation Center (ARC) has been a long time coming. What was anticipated to be a simple addition to the San Ramon Valley Institution, founded in the late 1940’s, when the valley was all ranch land, was bogged down with “Not In My Back Yard” concerns over extra traffic on the narrow original roads of the valley area, new sources of noise, and excessive parking lot light levels. Prior to all of these issues (that were eventually mediated by the lawyers and county committees /commissions and staff) TA was hired to help plan and minimize the impact of the new facility on the neighborhood. As part of this planning we worked with FCGA Architecture and the Church Elders to address the issues. Our initial work on sight showed the noise would not be an impact, i.e. would not raise the sound levels at the neighbors’ lot line. Through different reviews and submissions, we had to justify our design and recommendations. A little over 4 years after the process started, the sound system was turned up to “11” producing 98 dBA of noise in the Gym. It was barely audible outside at the new privacy fence that was put in place to address car lights. For the second test, the HVAC was so quiet you could not hear it start. In tests, the birds and highway traffic over a half mile away was louder than the amplified sound or the noise from the equipment on the roof. While not as equitable and amenable as our last posting discussing how we helped a tenant and landlord “meet in the middle” this was still a very successful project for the church and the neighborhood.